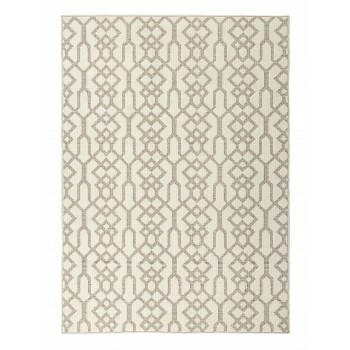 Roll out casual style with this large accent rug. Its repeated linked chain pattern is intricate, yet easy to love. Natural and cream colors found in the design provide neutrality—great for matching it to any room's decor.